Do you feel that? It's the tension, pull, and anticipation of destiny. However, the tension isn't always easy while the pull can be painful. What do you do then? How do you catapult from where you are to where you've been called to be? 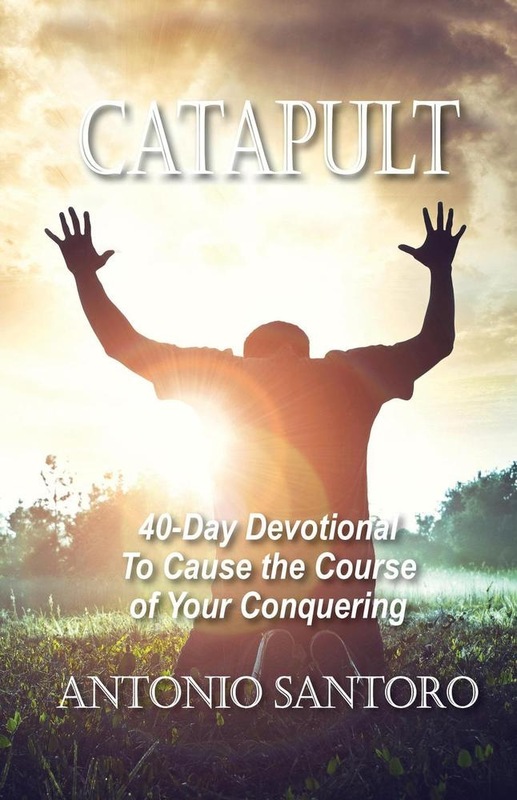 In Catapult: 40-Day Devotional to Cause the Course of Your Conquering, Antonio Santoro provides forty days of Biblical and thought-provoking discourse that will cause you to seek God in your daily living so that the course of your conquering will be right on target. In these pages, you'll discover: daily scripture that will serve as the foundation of your relationship, daily devotionals that prompt the sincere reflection and seeking of God, dournal space for daily, transformative thoughts, prayers, praises, or petitions. Utilizing these and other powerful principles, Catapult will transform your relationship with God and captivate you with the presence of your Heavenly Father and the possibilities of where you are going with him. If you are tired of the tension and ready for your greater, this book is for you. It's time to soar! Acquista Catapult: 40-Day Devotional To Cause the Course of Your Conquering in Epub: dopo aver letto l’ebook Catapult: 40-Day Devotional To Cause the Course of Your Conquering di Antonio Santoro ti invitiamo a lasciarci una Recensione qui sotto: sarà utile agli utenti che non abbiano ancora letto questo libro e che vogliano avere delle opinioni altrui. L’opinione su di un libro è molto soggettiva e per questo leggere eventuali recensioni negative non ci dovrà frenare dall’acquisto, anzi dovrà spingerci ad acquistare il libro in fretta per poter dire la nostra ed eventualmente smentire quanto commentato da altri, contribuendo ad arricchire più possibile i commenti e dare sempre più spunti di confronto al pubblico online.